one of the DT, has kindly stepped in to sponsor the challenge instead! I have to admit to having far too many favourites to choose from! I thought I'd share this card with you as my DT project. It's made using a decoupage image, from La Pashe. placed on a round rocker card. I also tied a big double bow with some faux silk ribbon. to show us your favourite technique! 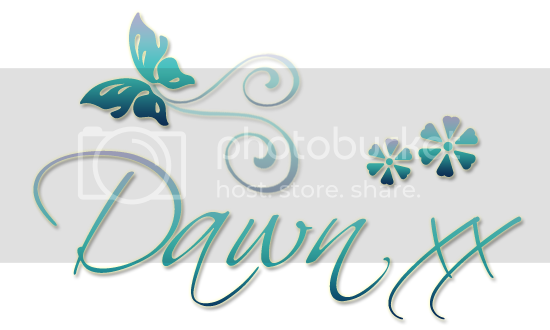 Hiya Dawn, I have been awful with stopping by peoples blogs this year so far, so sorry. I hope you are well ?? Hi Dawn, love your rocker card and the gorgeous decoupaged topper. The bow is fabulous. I hope you are keeping well! colourful and wonderful card Dawn. 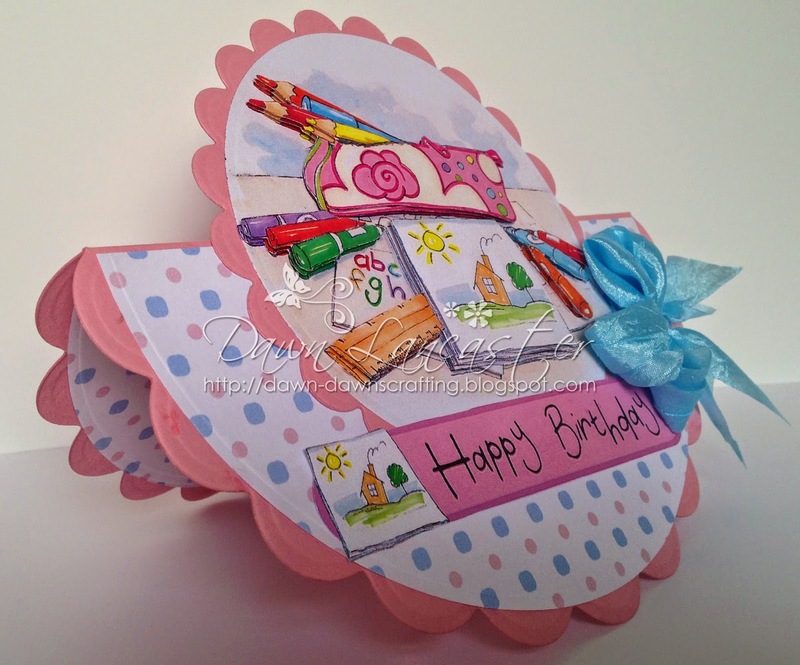 Fabulous rocker card - love those colours - great project! 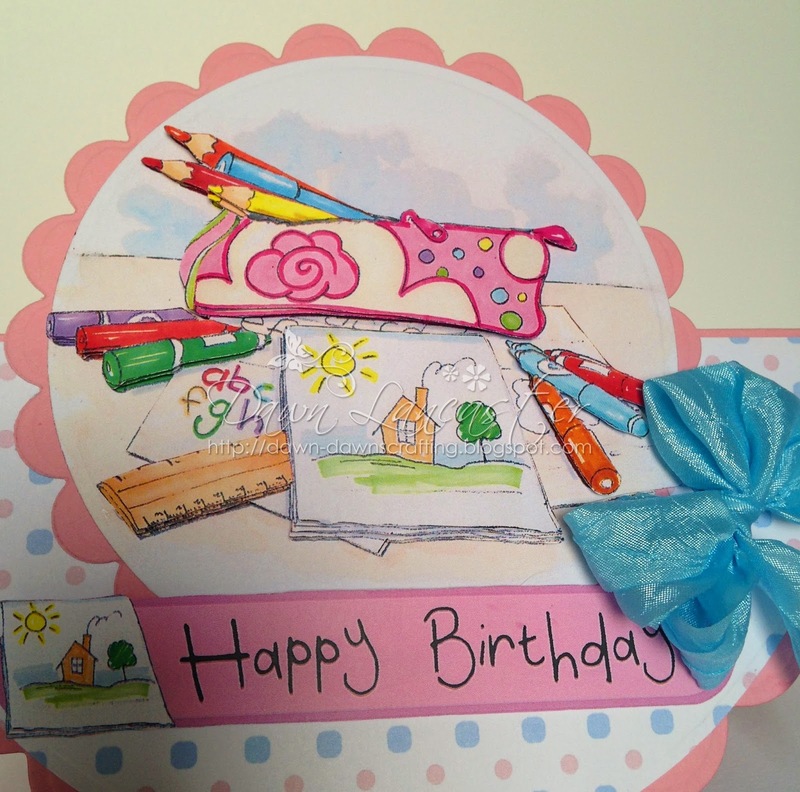 This is such a pretty card Dawn, lovely papers and decoupage image. Wow Dawn! 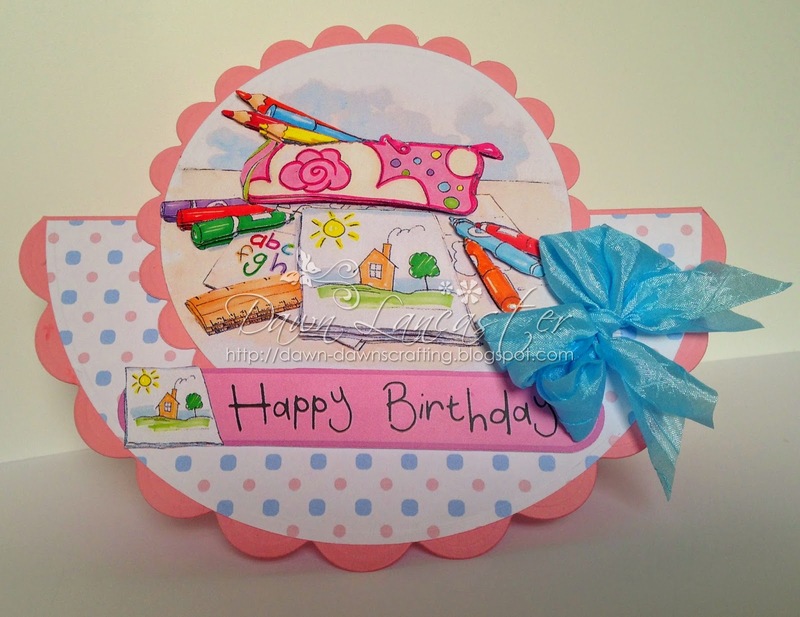 Wonderful card and great dimension! Love the cheerful colors you used as well. hope you are healthy there its ok not visiting me but I always remember you .. I love rocker cards, especially when they are done with scallops. This one is terrific! Wonderful bright colors and that bow is marvelous.